Character - Sith. Points: 16/20. Health: 12. 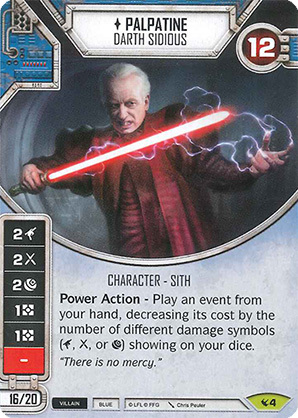 Power Action - Play an event from your hand, decreasing its cost by the number of different damage symbols (, or ) showing on your dice.